Now that may seem a bit obvious, as I moved here for work in August, but the realization hit me just last week. I have been immensely enjoying my job, working long hours to acclimate myself to it, while at the same time trying my best to break through the “I’m so insanely busy with my career; maybe we could get together for coffee in six months?” southern California front that people put up, in an attempt to make some personal contacts in this giant city in which I am still a stranger. Due to my contract, all this time, there’s been a subconscious thought of “I’m just teaching here for a year,” that remained ever-present, stealthily on the back-burner of my mind, only to be brought to the forefront by a jarring incident. I was asked to return for the 2012-2013 school year. I was (and indeed am) thrilled. Yet something odd happened to me. As I drove home that evening, the elusive little thought “I’m just here for a year,” crept it’s way to the surface of my mind and BAM!, hit my conscious mind with full force. Grant you, I had no idea what had happened just yet, but very slowly over the next week, I spun into a bit of a depression. Crying fairly constantly. A heaviness in my heart, a burden on my soul I had no explanation for. Uneasiness in my spirit, though its origin I could not quite ascertain. Something even more inexplicable happened to me, something that I had successfully eluded for 30 years: I became homesick. Some years ago, I spent a collective 9 months in Austria. How homesick was I during that time? I wasn’t! I had to really work hard to try and empathize with the girls in my care who were. Homesickness was not one of my weaknesses. Truly, I was a bit proud of that. But if you’ll use the reference Proverb 16:18, you’ll find a guide to the state I found myself in just a couple weeks ago. I spent that entire weekend in my room, depressed, confused, burdened, weepy and homesick. And why? What terrible calamity had befallen me to leave me in such a state? I admit it took me almost a full week to chase down the root and beat it to the ground. But in the end I realized what it was: I don’t live in Murrieta. I live in LA. I’m not just on an awesome teaching assignment for a year. I may well teach at SMMUSD for years. Some people fear change. They love routine and they like things to stay the same. I feel as though I am built a bit contrary to that “rule.” I love change and fear things that remain the same. Learning that I get to teach another year at SMMUSD just confirmed to me that my life has changed (past tense) in a big way and is now growing into a comfortable routine that may well remain the same for many years. 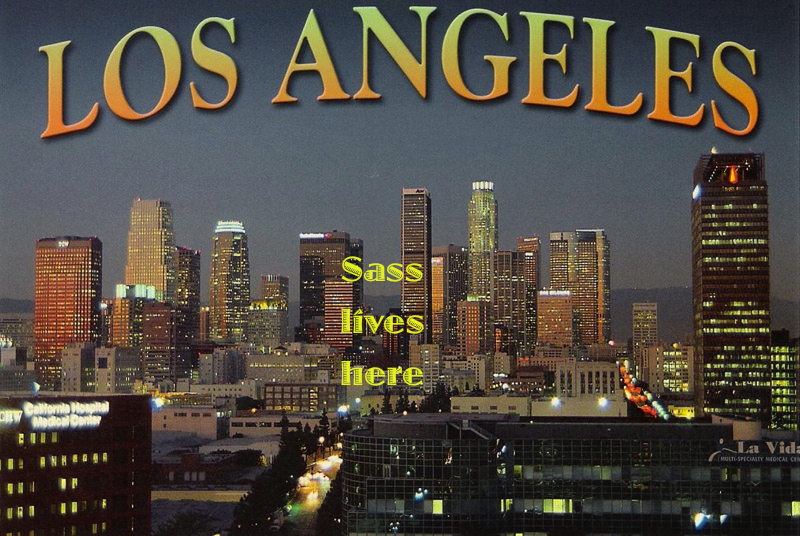 So…apparently I live in LA now. I must close the VERY long (and sufficiently weighty) chapter affectionately titled: “My Wonderful Life in Murrieta” and begin a new chapter. I am at the most exciting point of any new life chapter: the beginning, where anything is possible. I wonder what fantastic adventures the Lord has for me here?